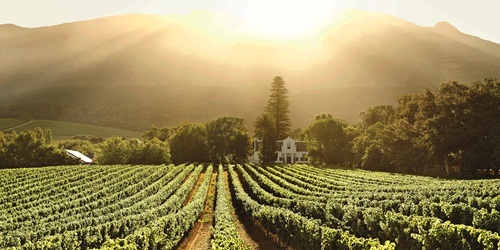 Buitenverwachting - "Beyond Expectation" - originally formed part of the Constantia Estate, founded by Simon van der Stel, the first Governor of the new Dutch colony at the tip of Africa. The farm was lovingly restored to its former glory while extensive planting of the most selected of cultivars was initiated. Red - Cabernet Sauvignon, Christine (Cabernet Sauvignon, Cabernet Franc and Merlot), Merlot and Meifort (Cabernet Sauvignon, Cabernet Franc and Merlot). 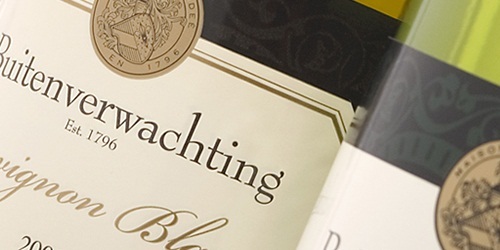 White - Blanc de Noir (Cabernet Sauvignon, Cabernet Franc and Merlot), Buiten Blanc (Sauvignon Blanc and Chenin Blanc), Chardonnay and Sauvignon Blanc. The completely redecorated Buitenverwachting Restaurant blends the old and the new in furnishings. Artwork is an integral part of the lounge as well as the dining area. You have beautiful views of the Constantiaberg Mountains and the vineyards whilst enjoying your food. The Courtyard is the informal garden restaurant where a light menu is offered as well as tapas and a high tea. 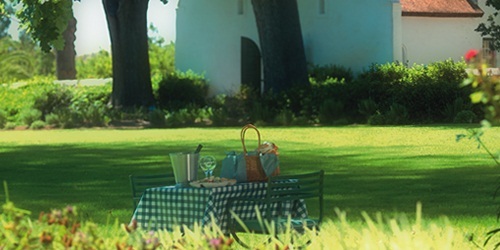 Picnics are served in baskets under the oak trees during the warmer months (November to April). Buitenverwachting Restaurant is an exciting events venue, with spectacular views of our own vineyards and the Constantiaberg Mountain. The completely redecorated restaurant blends the classic with the latest in furnishings. Light and airy, the shades of cream create an inviting aura. Exquisite artwork is an integral addition to the graceful lounge through to the elegant dining area. The manufacturing offices of Maack and Martin are situated on the estate in one of the original Cape Dutch buildings. Meagan Maack and Colette Martin go back a long way – school friends, they trained together and have achieved their aspirational dream which is to make exquisite, high quality Jewellery. Both have exceptional design talent; both have won prestigious international awards for their Jewellery design and both have trained to the same high standards. The Jewellery is on display and for sale in the Tasting Room on the farm.